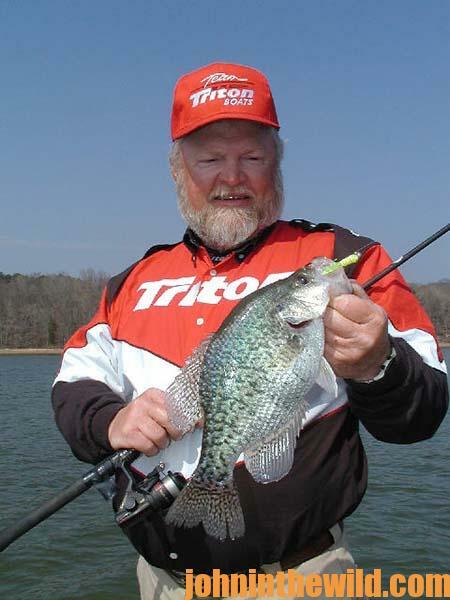 John’s Note :2014 is Steve McCadams’ 40th year of guiding crappie fishermen on Kentucky Lake. 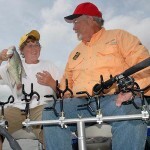 He also fished crappie tournaments for 10 years, and at one time he was part owner of Crappie USA. “I guess you could call me a crappie farmer, because I put out a lot of crappie cover and harvest a lot of crappie,” McCadams says. 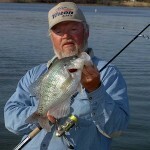 Except when he’s guiding or hunting ducks, McCadams guides crappie fishermen and catches crappie every day of the year. 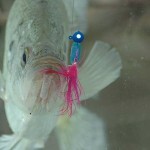 The secret for finding and catching crappie is to know where the crappie live and build homes for crappie. 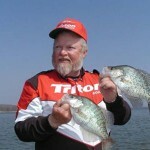 “I guide for crappie 9-10 months out of the year on Kentucky Lake, and we’ve never struck out,” McCadams reports. He only may catch 1-10 crappie, when he’s fishing an hour or two on the lake, because of high winds, snow, thunder or lightning. 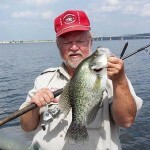 With two clients in the boat, McCadams averages keeping 40-45 crappie per day. 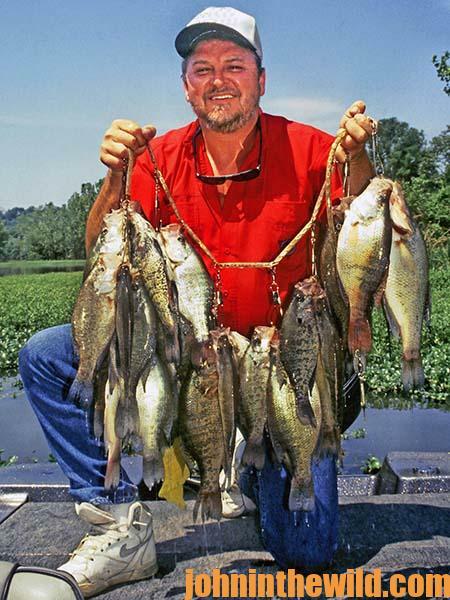 On Kentucky Lake where he primarily fishes, anglers only can keep crappie 10-inches long or longer. 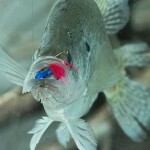 However, on an average day, his clients may catch 100 crappie and release the undersized ones. With two fishermen and me, we legally can harvest 90 crappie per day at Kentucky Lake that are 10-inches or longer, each. There have been days that we’ve caught that limit in half a day – an exceptional day rather than an average day of crappie fishing. On an average day, all year long, we’ll average 35 to 40 keeper crappie each day, and we’ll usually catch and release twice to three times that number. Normally, we’ll fish about 8 hours – 4 hours in the morning, come in for lunch, eat, stretch our legs and then, go back for 4 hours in the afternoon. In the early spring, we start fishing about 8:00 am. During the heat of the summer, we usually leave the dock at about 6:00 or 7:00 am. Remember, when we’re catching three limits of crappie that have to be 10 inches or longer for us to keep them, we usually will catch well over 100 crappie to be able to produce 90 fish that are 10 inches or more. Even on the days that we don’t catch all three limits, we’ll still put in a good day of fishing, catch and release a lot of crappie and have a good time. I’m of the opinion that people crappie fish with me not only to catch a lot of crappie, but to have a good time in the process of catching a good number of crappie. Yes, I have and can fish for crappie starting before daylight and fish well after dark. But that’s work – not fun. This reason is why I try to break up my day to let my clients relax during the middle of the day, get something to eat, cool off, regroup and possibly get more bait. Then we start again in the afternoon, when the weather’s cooled down. I don’t understand why some folks want to fish hard for 12 or 14 hours. They’re so worn out the next day that they don’t want to get up and drive home or go back to work. 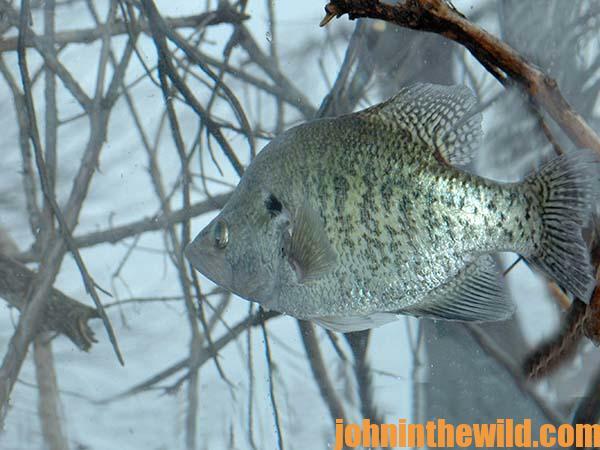 I think, regardless of the type crappie fishing you like to do, the Good Lord wants crappie fishing to be a way to provide food for the table and a recreation for all of us.